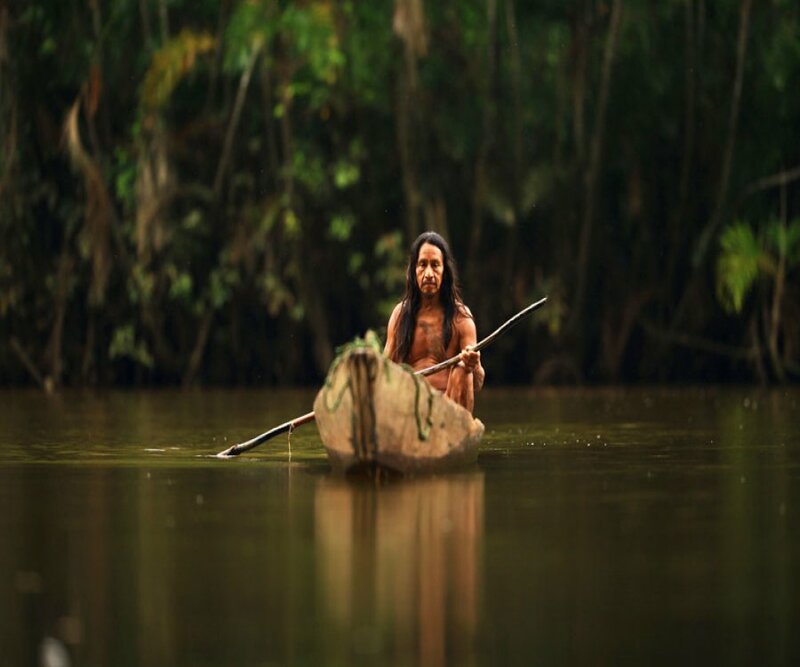 Yasuni, the largest protected area of mainland Ecuador, shelters an impressive biodiversity in the heart of the humid tropical Amazon forest and protects part of the territory of Waorani nationality. In Yasuní, surprising biodiversity figures have been reported for various groups of flora and fauna, never before registered in any protected area. Here we find hundreds of species of trees, wide rivers that overflow with torrential rains and large animals like the jaguar, the anaconda and the harpy eagle. We also find very small beings, such as the small lion or pocket monkey, the smallest primate in the world, and a large variety of reptiles and amphibians that place this park among the most biodiverse in the world. The human side of Yasuní is also full of surprises. Within the park inhabit the Tagaeri and Taromenane, Indigenous Peoples in Voluntary Isolation. In order to protect them and the Yasuní biodiversity, in 1999 it secreted the Tagaeri-Taromenane Intangible Zone. The Yasuní National Park, the Intangible Zone and the adjacent Waorani territory were declared a Biosphere Reserve by UNESCO in 1989. How to get to Yasuní? By air or by land you must reach the city of Puerto Francisco de Orellana (Coca). From here, depending on the destination, there are several routes, mainly fluvial. It is the symbol of Good Living. It is the emblem of resistance of all the environmental struggles. It is the transition to a socio-economic model that is friendly to nature and to all animals, including us. It is the utopia to other lifestyles. It is the global standard to combat climate change, and leave fossil fuels underground. It is to reaffirm the rights of nature, which like Ecuador, we have recognized. What is the Yasuní home? More than 100 thousand species of insects per hectare. 94 species of ants in a tree. 1130 species of trees, more than Canada and USA. together. 540 species of fish in a 5-kilometer segment of any river. Approximately 630 species of birds. In 1989 UNESCO declared the park as Bio-reserve and Cultural Heritage of bido to its exceptional diversity and the presence of the Taromenane and Tagaeri peoples.